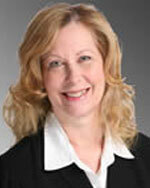 Venita J. McMorris is a Partner at White, Zuckerman, Warsavsky, Luna & Hunt, LLP. She is an economist with over twenty years of litigation consulting experience providing damages analyses for medical malpractice, personal injury, wrongful death, wrongful termination and other litigation. Ms. McMorris has testified as an expert witness in trial, arbitration and deposition. Prior to joining White, Zuckerman, Warsavsky, Luna & Hunt, LLP, Ms. McMorris was a Litigation Services Manager at Coopers & Lybrand, concentrating primarily in analyzing damages in civil litigation matters. She also has over five years of experience as an economist for one of Southern California’s medical malpractice trusts, where she was responsible for working with claims managers and defense counsel in quantifying economic damages. Ms. McMorris has provided critiques of opposing economists’ analyses, and assisted counsel during trial and deposition testimony of economic experts. Ms. McMorris’ experience includes working as an economic consultant and providing expertise on structured settlements and on the economic aspects of the Medical Injury Compensation Reform Act. Ms. McMorris has served as an expert witness panelist for the National Institute for Trial Advocacy, and as an Advanced Litigation panelist at a Continuing Education for the Bar seminar. She has lectured at seminars for various law firms and provided training for attorneys for Minimum Continuing Legal Education. Ms. McMorris co‑authored a chapter in the 1996 Wiley Expert Witness Update regarding the use of accountants and economists in personal injury cases. Ms. McMorris has over twelve years experience teaching economics to college students. Ms. McMorris was a full time tenured instructor of economics at Pasadena City College, where she taught macroeconomics and microeconomics. Ms. McMorris has been a part time economics instructor at Glendale Community College for the past ten years. She has co‑taught a seminar on forensic economics to the graduate accounting department faculty at California State University, Los Angeles, and she has co‑taught a similar course to students there. Ms. McMorris received a Bachelor of Arts degree from San Diego State University and a Master of Arts degree in economics from California State University, Fullerton.